The last trip I made to Singapore was by train – so I thought I’d fly this time. 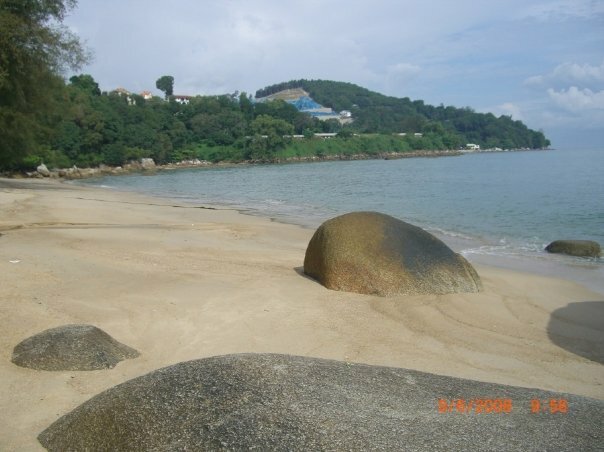 The main carriers that ply this route are Singapore Airlines, which are usually quite expensive, Malaysian Airlines – which had no direct flight when I was travelling – all flights stopped in Kuala Lumpur, and Air Asia, which has several direct flights a day. So Air Asia it was, then. 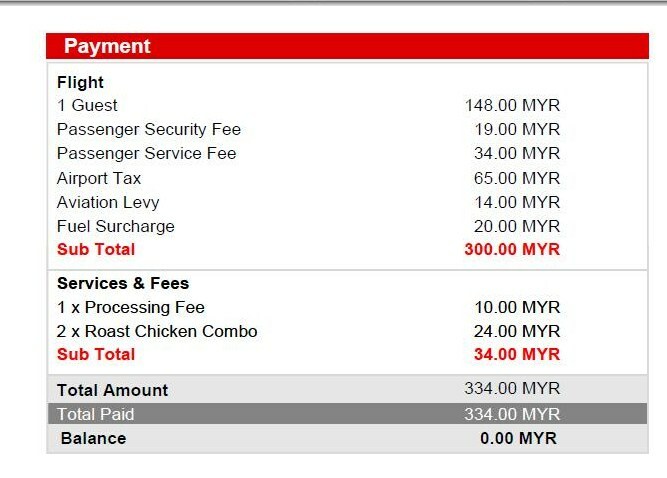 BOOKING: Air Asia’s (AK) Internet site is quite fast. But when you book you have to be careful to unselect several default options you may not want, and that add considerably to the cost, and unless you want the travel insurance, read carefully so you can unselect it. If you want to select your seat they want to sell you a “Hot Seat”, but selecting any other type of seat is far cheaper – just look carefully to find that option, if that’s what you want. If you find you’ve done it wrong and accidentally agreed to some option you didn’t want, you have to cancel and start again from the beginning. PRICE: There is an extra RM10 for using the credit card to pay – or you can pay by bank draft online to avoid it. All up for me the price was a reasonable RM334 for the flight to Singapore and back. As usual, the governments took half of that. PRE FLIGHT: I received all the information I needed from AK by email, very quickly after booking. And a few days before the flight I received an email with a link to click which took me directly to the page I needed to check in on the web. Very easy and convenient. Or it would have been, had it worked. I clicked through the procedure, only for it to tell me at the end I couldn’t check in on the web. I started again, and again it failed at the end. Fourth time lucky, though. I printed the boarding passes for outbound and return. THE BIG DAY: Included on the boarding pass is a convenient chart showing the four steps you need to take at Penang Airport. Step 1 was to clear security – now this may be correct for domestic flights, but on International flights not. When I tried to follow step 1 I was told I have to go to the AK desk to have my documents verified. At this desk a sign says “no luggage”, so there were two people with about 10 passports, passing some luggage to the attendant. A short wait there left me with the impression it would turn into a very long wait at the speed the attendant was working, so it proved far faster just to go to a normal check in desk for the verification. Staff was friendly. The check in machines had a sign on them saying to go to the normal check in desks, too, so I couldn’t try that option. Indeed, nothing much had changed when I walked back past the actual verification desk. After this, all went smoothly. 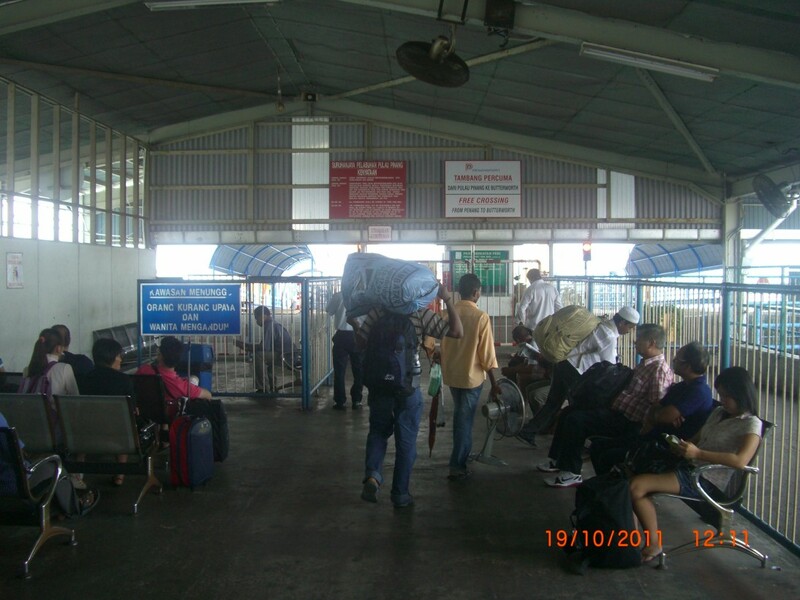 The plane arrived, everyone boarded, and the plane took off on time. 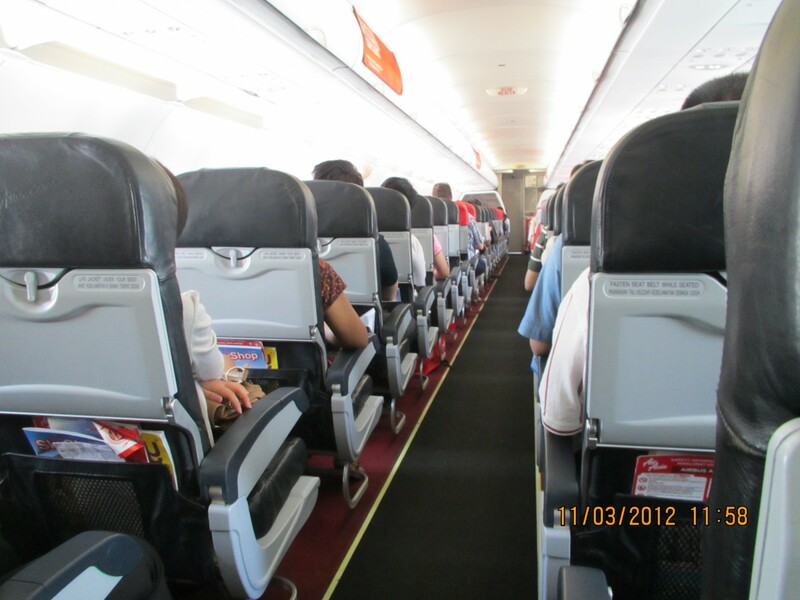 The plane was clean, and the staff were friendly. 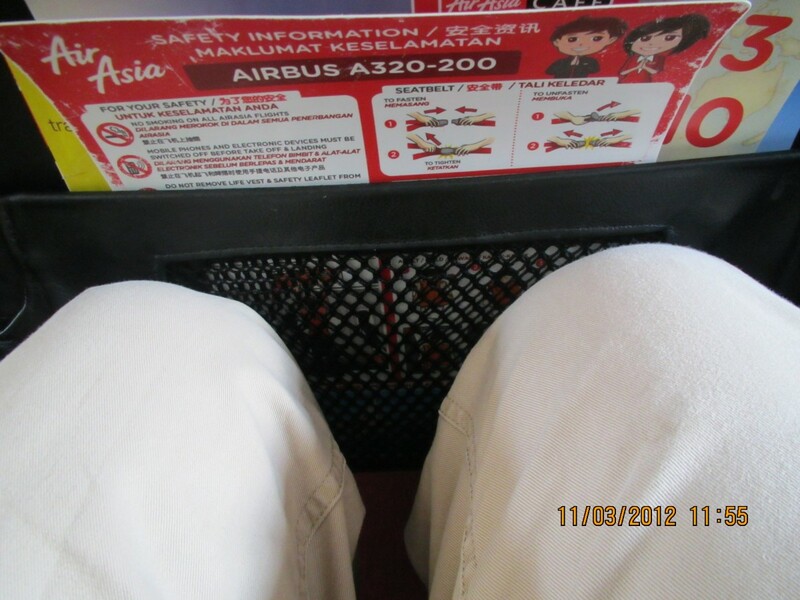 Not so much leg room, but enough for me, so I was comfortable enough for the short flight. The plane was quite full. 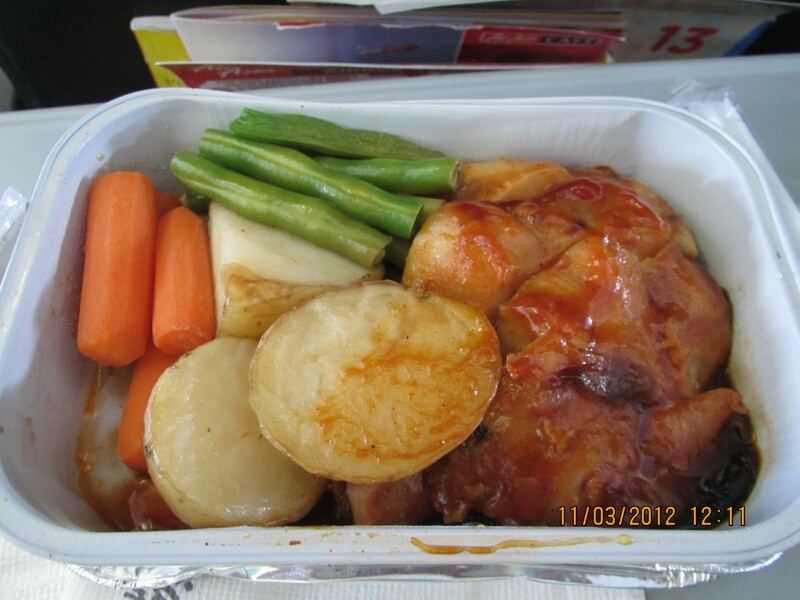 Soon after take off the in-flight meal I had preordered was delivered to me. Not so many people had ordered, it appeared. I strongly suspect that the sauce contained MSG (monosodium glutamate), a very cheap flavouring agent.and a known neurotoxin. There is little awareness in Malaysia of how poisonous this is, and so it is hard to avoid unless you eat at home. 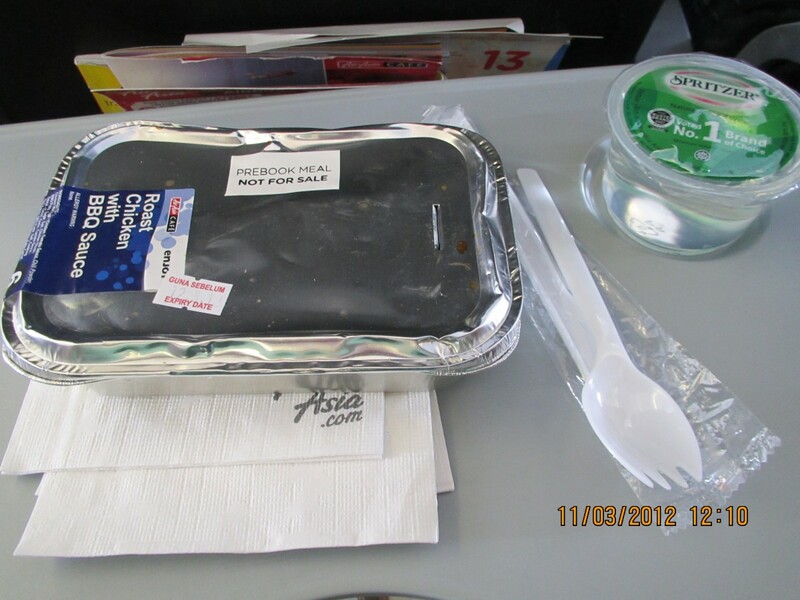 There are a few restaurants in Penang proclaiming that they are MSG free; it would be nice if Air Asia joined them. It was otherwise fairly standard for airline fare. The plane arrived on time after a smooth flight of 1 hour 20 minutes. So, a reasonably economical, fast and quite easy trip with AK, with only some minor easily fixed glitches, already mentioned. The return trip was about the same,(except in Singapore the boarding pass “steps” were correct), so Air Asia was consistent, too. 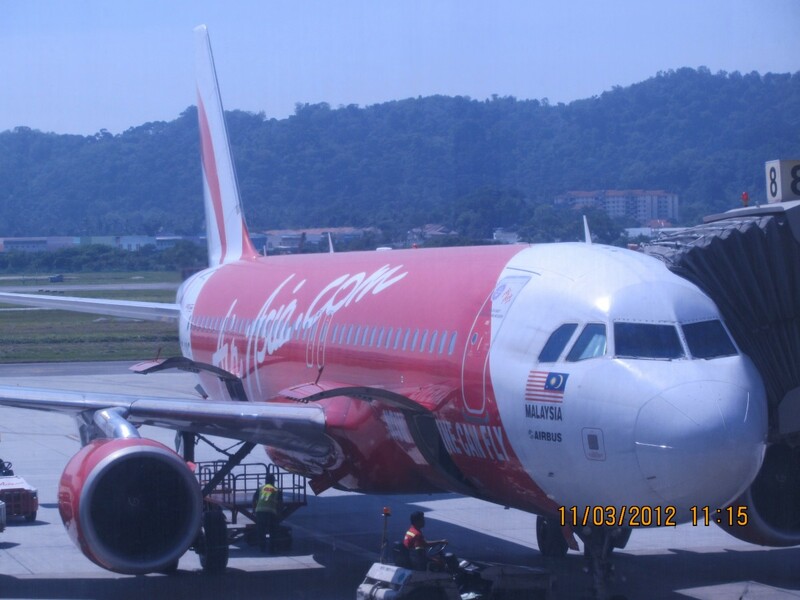 A thumbs up for Air Asia.